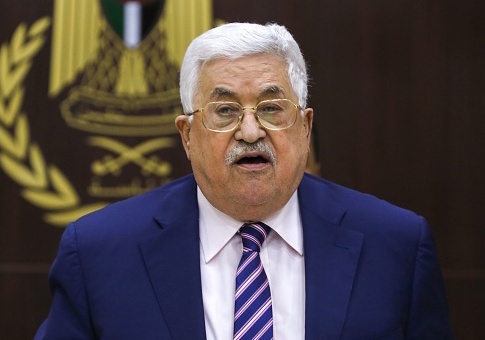 Palestinian Authority President Mahmoud Abbas said Sunday he will continue to pay stipends to Palestinian attackers and their families, in spite of the Israeli parliament's decision to withhold tax funds collected on the PA's behalf. Abbas told a Fatah Central Committee meeting in the West Bank that the Palestinian government would continue to pay its "martyrs and prisoners and wounded people," as it has since 1965, the Times of Israel reported. "We will not allow anyone to interfere with the money that Israel is against us paying to the families of martyrs and prisoners," he said, according to a transcript from a state-run media outlet. Israel has called on Palestinians for years to halt the stipends, which benefit roughly 35,000 families of Palestinians killed, wounded or jailed in the conflict with Israel, many of them accused of involvement in terror. Israel says the stipends encourage violence. Among the beneficiaries are families of suicide bombers and others involved in deadly terrorist attacks on Israelis. The Palestinians contend the number of stipend recipients involved in deadly attacks is a small fraction of those aided by the fund. They say that the tax revenue collected by Israel for them under past peace agreements is their money and that the Palestinian Authority has a responsibility to all of its citizens like any other government. Israel's punitive measure against the Palestinians mirrors the passage of the Taylor Force Act in the United States, which President Donald Trump signed into law as part of the $1.3 trillion spending bill passed in March. Force was an American serviceman who was stabbed and killed in March 2016 by a Palestinian while he was in Tel Aviv. This entry was posted in National Security and tagged Israel, Mahmoud Abbas. Bookmark the permalink.